North American companies are reaping the benefits of using Grove telescoping crawler cranes on a variety of jobs. Their combination of crawler maneuverability, telescoping boom versatility and 100 percent pick-and-carry capability is helping lifters increase efficiency on a wide variety of projects. Jackson-Cook Cranes discovered these benefits when it used a GHC75 to erect a series of high-voltage power line poles in Tallahassee, Florida. The company, which is also based in Tallahassee, previously tried using rough-terrain cranes twice for the project, but the job site’s muddy, uneven terrain proved too much for a mobile crane. After researching Grove’s new line of telescoping crawlers, Jackson-Cook took a chance on the GHC75. The project took place near the end of last year on the Tallahassee campus of MasTec, a Coral Gables, Florida-based engineering firm. The 75 USt GHC75 erected a series of 100 ft-tall concrete poles, which varied in weight from 1.6 USt to 17.5 USt, lifting them all to a height of 5 ft. 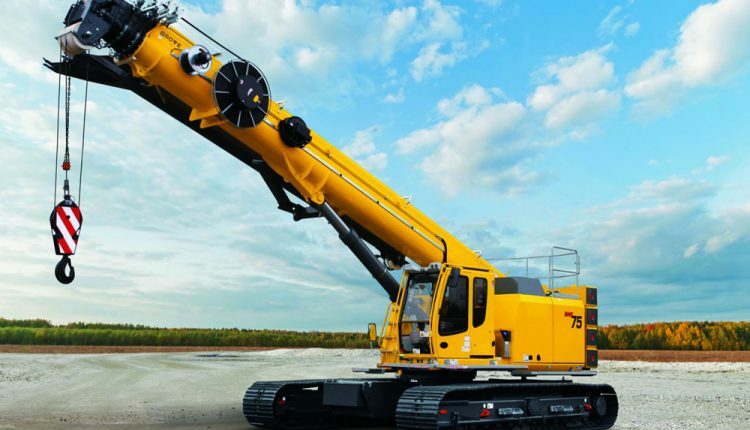 The crane’s telescoping boom was fully extended to 118 ft for the duration of the job, enabling operators to take full advantage of the crane’s 100 percent pick-and-carry function. Because the crane didn’t need to be reconfigured for each lift, it saved the company a lot of time on the project, enabling it to complete the job two weeks earlier than expected. The overall experience of using Grove’s new telescoping crawler left a positive impact on Jackson-Cook, and the crane outperformed the company’s expectations. Jackson-Cook rented the GHC75 from Ring Power Crane, a division of Ring Power Corporation. The St. Augustine, Florida-based Grove dealer has been offering a wide variety of new and used cranes to customers in Florida, Georgia, North and South Carolina, as well as parts of Latin America and the Caribbean since 1993. The company offers full-service, round-the-clock support of its cranes for the duration of their time spent on the job site. For more than 50 years, Jackson-Cook Cranes has provided crane, steel fabrication, welding and construction services to northern Florida and southern Georgia. The company is independently owned and operated, and is fully certified by the Crane Institute of America.